Wishing you'd consider a change of heart, but all are so bitter and we will never stop. El Perro del Mar (The Sea Dog) is the nom de musique of Sarah Assbring, a Swedish pop thrush whose recordings are glorious aural confections that combine Brill Building pop and the influences of Brian Wilson, Burt Bacharach, and Smokey Robinson with lyrics that speak with a sweet, ineffable sadness of the pitfalls of love and life. According to Assbring, the name El Perro del Mar came to her during an ill-fated vacation in Spain; she was alone, depressed, and out of sorts when a stray dog came up to her while she sat on the beach, and the dog's efforts to bond with her inspired her to express her feelings through songwriting. Assbring began recording her new songs on her own, playing most of the instruments herself as well as singing, and in late 2006 Sweden's Hybris label issued her debut release, a three-song EP. The EP earned enthusiastic reviews and respectable sales, and Assbring's next project was a split single with Jens Lekman, released in North America by the prestigious indie label Secretly Canadian. A second EP, 2005's You Gotta Give to Get, was a hit in Sweden, thanks in part to a charming animated video for the title tune, and the disc helped spread the word about her music in England and the United States. Later that year, Hybris compiled El Perro del Mar's single sides and EPs into an album, Look! It's El Perro del Mar! ; then, El Perro del Mar, a mostly reworked version of that first release, was issued in the U.K. by Memphis Industries in the fall of 2006, with an American version from The Control Group following shortly afterward. All of this was enough to get the singer signed to her fellow Swedes the Concretes' label, Licking Fingers, and she soon began working on new material.From the Valley to the Stars, her second full-length album of new material, arrived in early 2008. When she next returned to the studio, she signed up Rasmus Hägg of the group Studio as a collaborator. The album the duo created in 2009, Love Is Not Pop, was inspired less by her previous influences and more by disco and modern club sounds, though it still retained all the warmth and drama she had become known for. 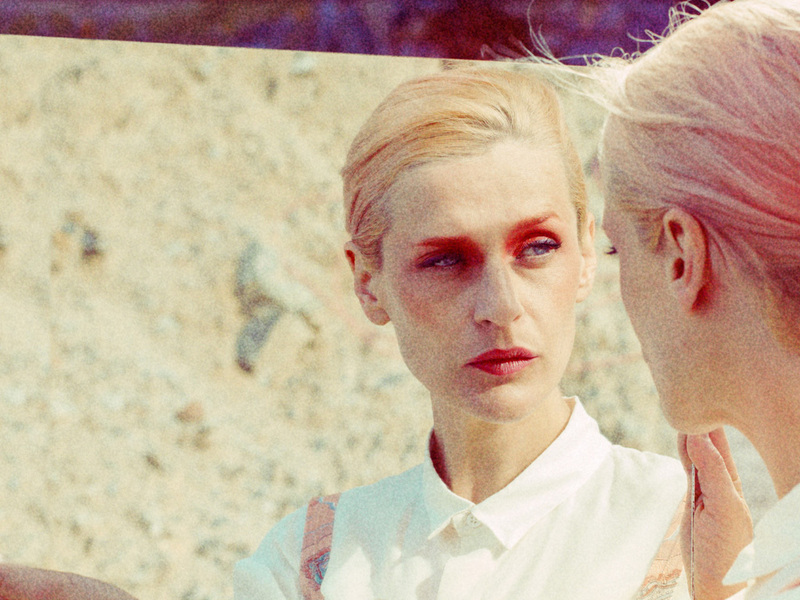 2012 will see the release of El Perro del Mar's fourth LP, Pale Fire, released by The Control Group in North America.